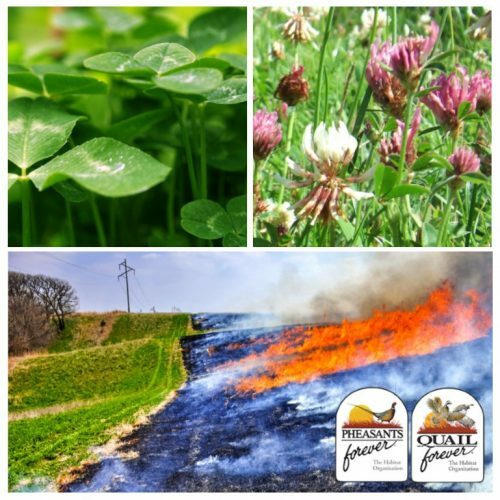 This green firebreak seed mix has legume species that can grow in diverse soil and climatic conditions: alfalfa for drought tolerance, alsike clover for wet or flood-prone areas, red and ladino clovers for everything in between. 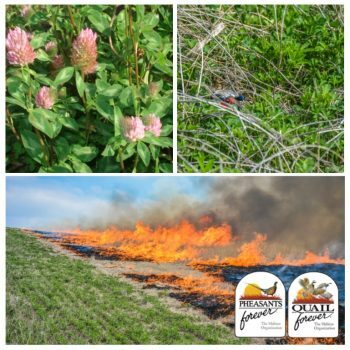 By incorporating green firebreaks into land management, food and cover value for wildlife improves. Nesting and brood-rearing cover for pheasants and quail, now that’s great habitat! Alfalfa and Red Clover are found throughout the US in a wide range of soil conditions. They perform best in deep, well-drained loamy soils. With an extensive root system, alfalfa is drought tolerant but sensitive to low oxygen levels in wet, saturated soils. Red Clover is better-adapted to poorly drained soils. Ladino and Alsike Clover tolerate wet soils better than other clovers.